Traditional radiators are all the rage. Find out what everyone’s raving about for yourself. Turn up the heat on your home’s flare with your trendy radiator. Your radiator might not be modern, but that doesn’t mean it doesn’t have a lot to offer you. In fact, a traditional radiator can suit you just as well – if not better – than a modern heating mechanism. 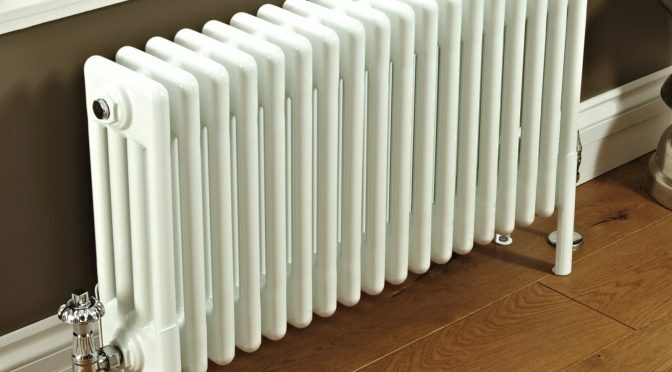 Here are five reasons why radiators are still hot today. Your traditional radiator is more fashionable than you think. It simply gives a vintage feel to any room it’s in. In older homes, something’s missing without a traditional radiator. A radiator can take you back to a simpler time before everything became digitised. Cast iron or steel radiators add a bit of old-school elegance to your home. They’ll also keep you nice and warm. The perfect radiator can bring your room together. Your room is no exception. Retro radiators come in a variety of different styles, models, and colours. You’re bound to find one that matches your room. Some are fancy with intricate designs while others are more understated. You can choose from bold or neutral colours as well. Radiators are typically slender and elongated. You can use them to separate spaces or install them in the nooks and cranny’s we all have in our homes. A traditional radiator will keep you warm and cosy all day and night. They’re simply better at heating. Column radiators provide fast and efficient heating. Not only do the columns have more surface to heat, but they produce more heat on average than many modern heaters. Cast iron columns particularly retain heat and keep warming your house even after the radiator is shut off. It’s the kind of heat you can rely on when it gets cold. In the end, traditional radiators will give more heat for less energy. More heat for less energy equals money saved on your electric bill. There’s no room too big for traditional radiators. Because they come in all shapes and sizes, you’ll be able to find a radiator that heats your entire room. With modern heaters, you only get spotty heat coverage. Traditional radiators are good at heating a room evenly. Keep in mind: The bigger the room, the greater the BTU output it will require to be effectively heated. Make sure your heater’s output is enough to heat your entire room. That’s right. If your radiator has a flat top and isn’t functioning, it can double as a shelf or even a table. Homemakers have been using this trick for ages. First, you install your radiators 3 feet apart from each other. Then you slide a section of perforated galvanised pipe strap around the top section of the fin closest to the wall. After that, you fold the strap ends so the holes line up and secure them to the wall with a toggle bolt or a screw and anchor. Finally, you add a flat top to the surface. A stone slab, wooden plank, or thick glass will work well. A radiator is an endless source of sophistication in your home. It serves a functional purpose as well as an aesthetic purpose. Your home simply isn’t complete without one, so why wait any longer?